Corporate holiday party in the beautiful Twin Cities Turnblad Mansion. The Turnblad Mansion was decked out with beautiful holiday decor. This was the perfect setting for a corporate holiday party last evening. Guests were treated to a step back in time to the turn-of-the-century architecture and beautiful woodworking and carvings as well as delicious cuisine from Three Sons Signature Cuisine. I had the pleasure of enhancing the guests experience with my cocktail and dinner piano music. I took a break while speeches were given. It is this company's tradition to have the first year employees provide spoken entertainment. I found their creative stories of their experiences from this past year to be entertaining and interesting. It gave me an insight into the lives of some of the guests for whom I was performing. 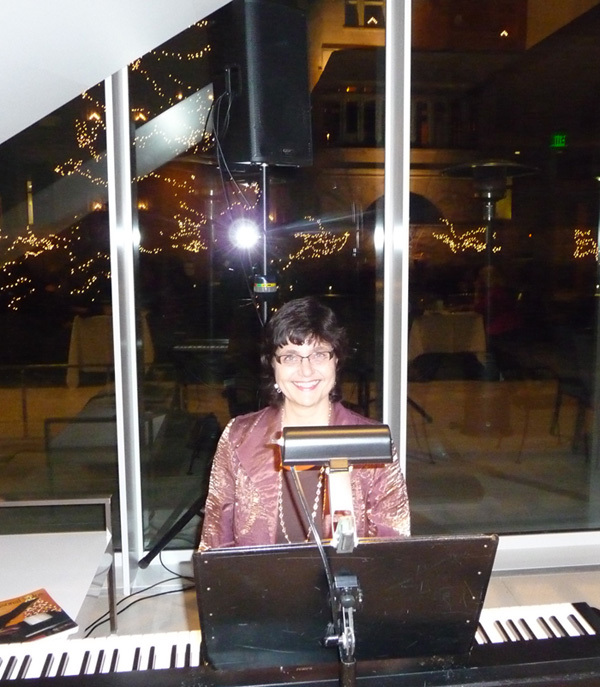 I enjoyed the opportunity to share my music for this wonderful Minnesota company! Turnblad Mansion, American Swedish Institute. Tis the Season to make music! The beautifully lighted Turnblad Mansion made a picturesque backdrop for a holiday party at the American Swedish Institute. My holiday gigs are off to a fun start!